Are you ready? 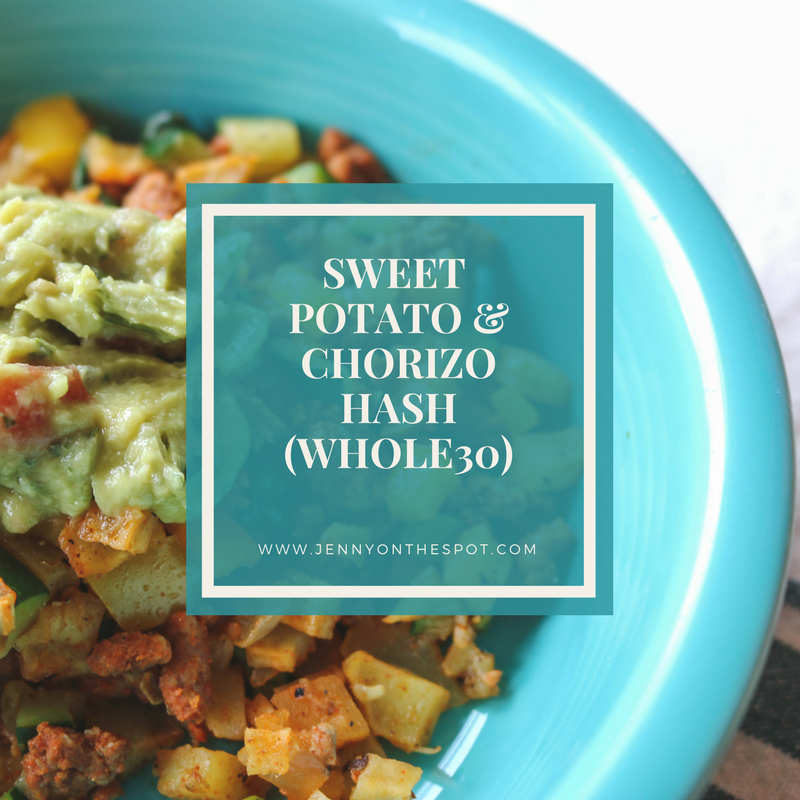 This here recipe is Whole30 compliant! It is one of my most very favorite meals to eat. But I usually eat it for breakfast. But this recipe has helped heal my grief over my egg consumption loss. Or nothing. Not unlike the cheese of The Farmer in the Dell fame… it totally stands alone. As I’ve experimented with the recipe, I have added more and more veggies. Yet another reason I love this as a morning meal. I like starting my day with a hearty meal and loads of veggies. It’s not that I love veggies so much. I don’t dislike them either… I just prefer fries and chocolate and stuff. Hitherhencetofore… getting all the veggies in that one should consume in a day is a bit of, shall we say — an effort. So anything that helps me get a good start on that veggie consumption is a winner for me. I’m going to be honest… this here dish takes a lot of prep time. And some elbow grease. You can choose to chop your stuff how you prefer, but I really like small pieces… and diced. So I spend some time chopping my little heart away. But it’s not a waste of time. I like to choose a favorite podcast or blast my 80’s playlist and do my thang. Related: a good sharp knife is legit goals. I prefer to use a white sweet potato as opposed to the usual yam-ish sweet potato. I have used both, but I find the white sweet potato is drier and it holds up better against the added moisture of the veggies and meat. If you do use the Garnet yams… I suggest cutting the pieces a bit bigger and cooking a bit longer. They are still a delicious option, just mushier. And sadly, the white (Hannah) sweet potatoes are not always available. A fabulous blend of sweet (sweet potatoes, yo!) and spicy (chorizo!)... with a whole bunch of veggies. Heat oven to 400. Combine the spices in a bowl. Set aside. Dice the sweet potatoes. It's a lot of work but 100% worth it. Put the diced potatoes in a big bowl. Melt 2 TBS coconut oil. Pour the melted coconut oil and mixed spices over the diced sweet potato. Mix well. I use a really big cookie sheet with edges and line it with tin foil. Melt the remaining 2 TBS coconut oil and spread over pan. Pour spiced sweet potatoes on to pan and spread in a single layer. Bake for 40 minutes. Around 30 minutes in I turn over the potatoes. While the potatoes are baking, chop-up that onion. Brown the onion and chorizo. Set aside. Get all your veggies chopped. Heat up a big pan. Add 1/4 cup water along with your chopped veggies - except the spinach. "Fry" the veggies until a bit soft. Add the spinach. Remove from heat. Obviously... this takes a bit of effort...but TRUST ME... IT IS WORTH THE EFFORT. At this point you can heat it all up on a big pan on your stove, or you can package-up individual servings and freeze. Feel free to make this meatless, but up the spices a bit since chorizo adds a lot of spice. You can always use a different meat as well... like ground pork or turkey. Just remember to add a bit more spice. This makes 12-14 3/4 cup servings. This is an excellent freezing option. I like to keep a few servings to eat during the week, and freeze the rest in individual servings. Another option is freezing only the meat and potatoes, and cookie veggies each morning... something I used to do. However, I have found doing all the hard work in one fell swoop means I have a whole bunch of seriously easy and seriously healthy breakfast waiting for me to warm up. So that there is the recipe/instructions. It’s a bit of effort, but it is entirely worth it. And as I said at the beginning.. you can top it with avocado, guacamole, and egg. Or two. My husband likes to mix it in while he scrambles his egg. You can go crazy, friends. Just go crazy and whathaveyou. so I have lots of good, healthy breakfasts I can make in a snap. And enjoy. I bet you will. Were I a bettin’ woman, I’d totally place a bet on that. I have been wanting your recipe for-evah!